A big thank you to everyone who came out for our last community service event of the season, our 2nd Annual Benefit for Connections for Abused Women and their Children (CAWC.) The night was a huge success! 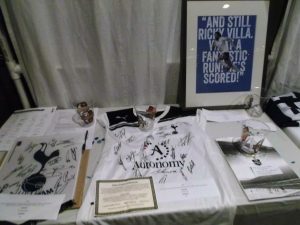 Though admissions and the silent auction, we were able to raise $3197 for the organization, almost $500 more than last year’s inaugural event. 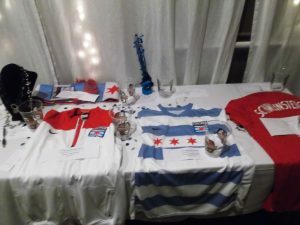 Chicago Spurs once again teamed up with their friends in the Chicago soccer community, the Chicago Red Stars, and their supporters’ group, Local 134 to put on the event. The benefit took place on the evening of Wednesday, May 24th, 2017 at the Atlantic Bar and Grill. The night featured an open bar and appetizers, a fun and fiercely fought game of trivia, and an appearance by Red Stars players Sofia Huerta, Danielle Colaprico, and Alyssa Mautz. In addition, there was a silent auction featuring many wondrous items, from a golf package at a nearby course, to a variety of dinner parties, handcrafted jewelry, and generously donated memorabilia from the Chicago Red Stars, the Chicago Fire, and Tottenham Hotspur. Kevin Feldman, CAWC’s development director, was also in attendance to tell the group about the hugely important work that the organization carries out. CAWC is an organization committed to ending domestic violence by using a self-help, empowerment approach. They provide a shelter for women and children, counseling, advocacy, and a 24-hour hotline for people affected by domestic violence. 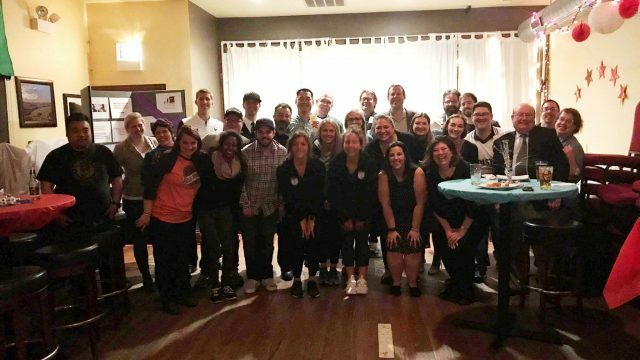 Overall, the event was a wonderful time, raised valuable funds for a great cause, and was a great way to end a memorable season! We look forward to continuing our partnership with CAWC in the future. In closing: Thank you to everyone for making this a very successful year for community service overall – we were able to benefit a variety of wonderful causes, both in Chicago and abroad. Throughout the year, we had 80+ participants across our five community service projects. We hope to continue the high level of engagement next season. If you have an idea for a community service project for next season, we’d love to hear from you. Hit “Contact Us” at the top of the webpage, and shoot us a message.